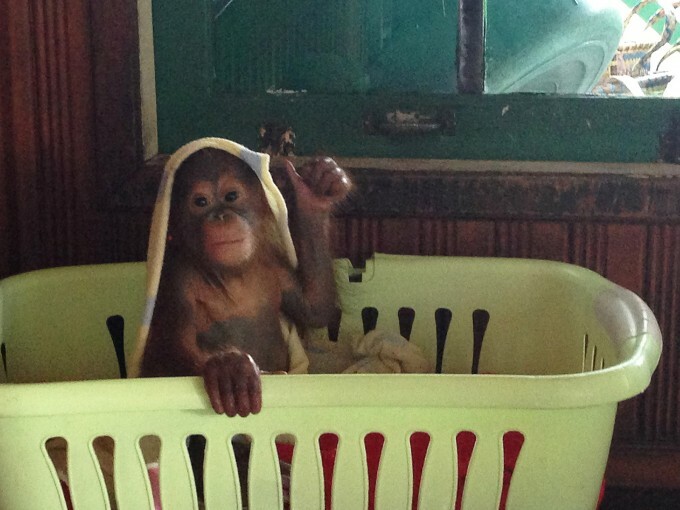 Cinta is being cared for at BOS Nyaru Menteng. While the team was busy preparing an orangutan release they received a phone call from villagers who had ‘found’ an infant orangutan and wanted to send her to the care center. BOS immediately coordinated with the authorities to rescue the baby and on the morning of February 14th, Valentines Day, the team set out on the four-hour journey to get her. The baby came from an area which, until recently, had been a lush forest populated by many orangutans. A palm oil company had cleared the land and destroyed the forest. The baby, named Cinta (‘Love’ in Indonesian), was all that remained of her extended family. YES! I want to adopt Cinta!